Get in touch with us if you would like to know more about our festival, if you're a band looking to perform or a stall holder or food vendor interested in a spot at our event, we'd love to hear from you. 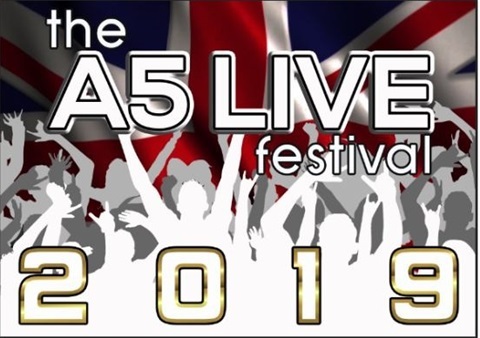 A5 Live takes place the weekend of the 3rd to the 5th of August. Friday 3rd -Gates opening for Campers at midday on the 3rd, and general admission from 4pm, last entry at 10pm and gates close at midnight. Saturday - Gates will open from midday on the 4th, and general admission from 2pm, last entry at 10pm and gates close at midnight. Sunday - Gates open at midday and close at 6pm.